Prepare for more action-packed adventures in Treetopolis as superhero Tom returns this spring with the launch of a new DVD collection from Tree Fu Tom, the hit CBeebies animated series featuring the vocal talents of Mark Bonnar and Sophie Aldred. Tom may look like a normal boy but when he puts on his magic belt and performs a series of magical moves (known asTree Fu) he transforms into a tiny but mighty, magical superhero. 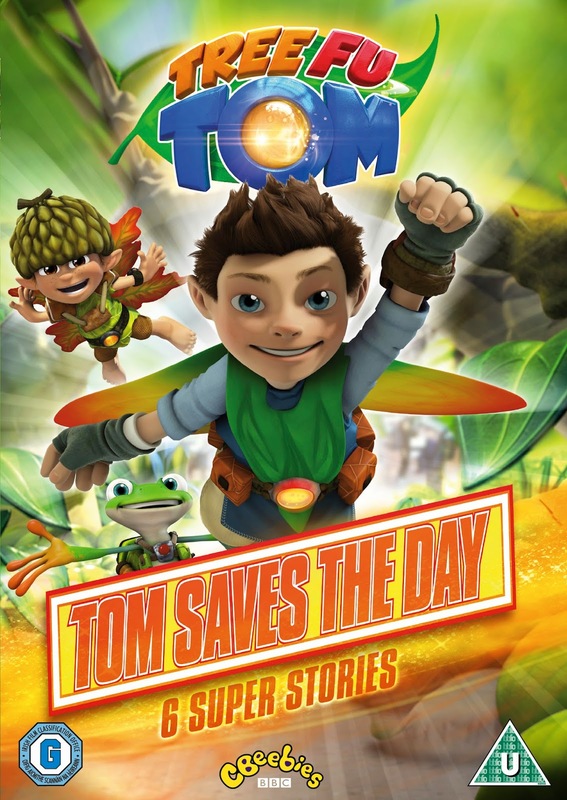 Today we re giving you the chance to win this fantastic DVD - Tom saves the day. We have one copy to give away to one lucky winner. This DVD will provide hours of entertainment. To be in with a chance of putting a smile on your children's faces all you simply need to do is enter the easy Rafflecopter form below. Good Luck! Thank you for another lovely giveaway! We have two little big Tree Fu Tom fans in this house!